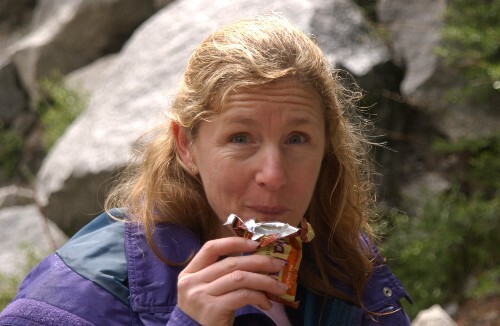 On May 1-4, Patty and I camped at Wawona Campground, south of Yosemite. 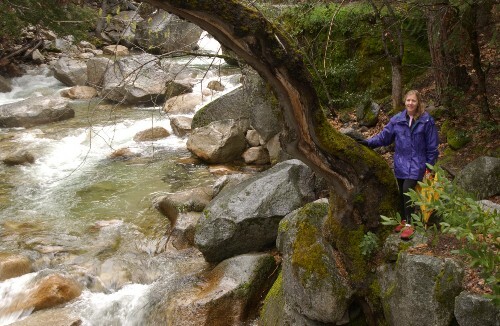 Although we had wet weather almost all the time, we had a great time enjoying the peace & quiet and each other's company as well as the beauty of the Sierra. 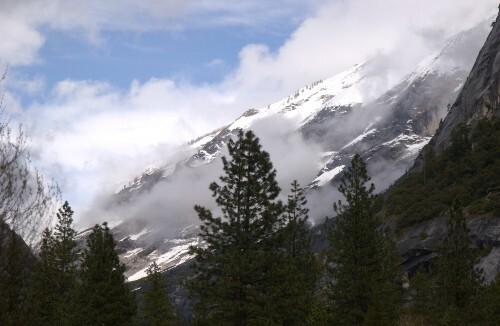 Friday morning, as we were driving to the valley from the Wawona campground we stopped at the valley view vista point. 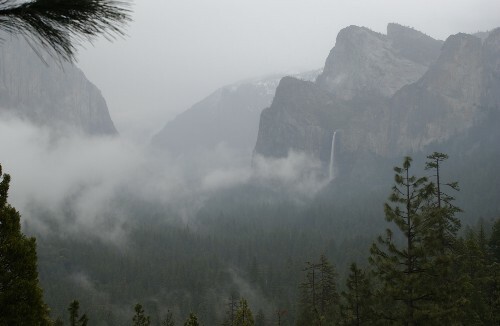 The storm was just arriving and had the valley shrouded in mist and clouds. 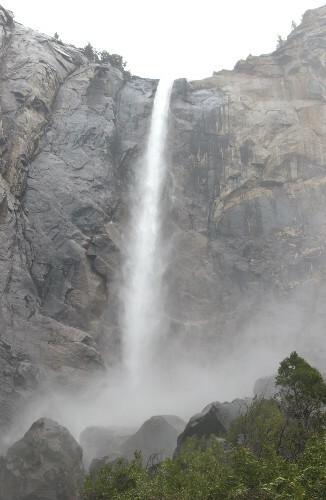 We then stopped at Bridalveil falls where we couldn't tell the rainfall from the mist at the base of the falls. The river flowing away from the base of the falls was beautiful as always. 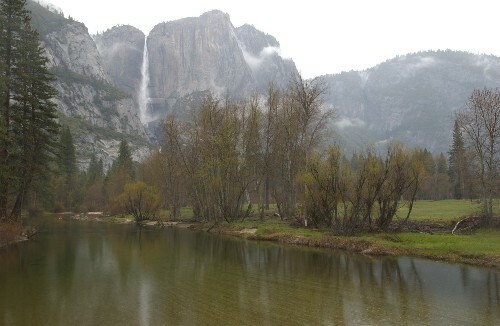 Although it was overcast and sprinkling in the valley in the morning, it was still very pretty. The shades of brown and green we saw in the river that day were really neat. 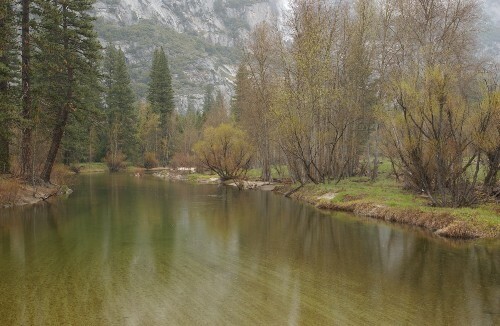 In the afternoon we went for a 9 mile hike along the river and around Mirror Lake. 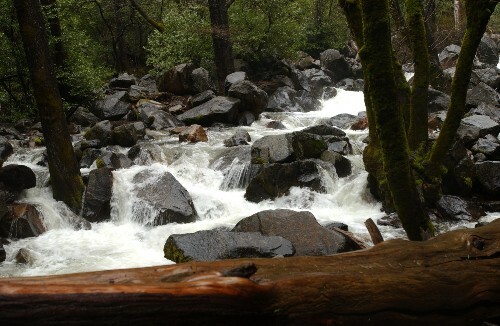 It rained through most of the hike, but the forest was beautiful. At one point toward the end the rain stopped and we were able to make out our shadows. We stopped for a bite to eat. Off in the distance we could actually see some blue sky and sun on the fresh snow.